Melord is passionate about music and sound. Not uncommon for a high school junior. What is uncommon is that he has found a way to turn that passion into learning. And hopefully one day a career. 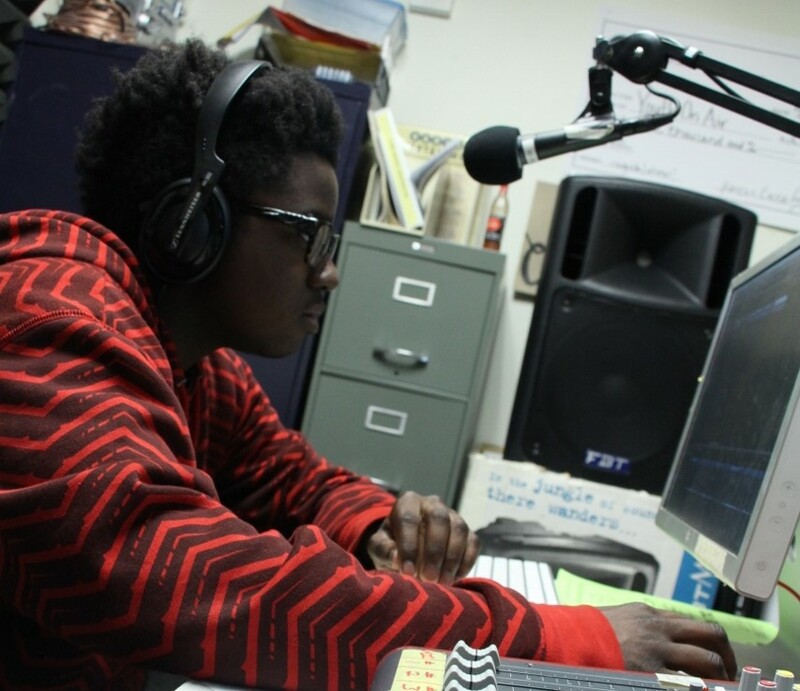 In addition to being a full-time student at Madison Memorial High School, Melord is also a sound editor for local radio programs through the Youth on Air program at the Lussier Community Education Center. Melord was enrolled in a communication arts-mass media course that he didn’t find challenging enough. He had finished the coursework and semester-ending projects months ahead of schedule. Then, a teacher mentioned Youth on Air and asked if he wanted to join. Melord’s instant enthusiasm caught the attention of almost the entire Memorial staff. He was so excited about the idea and remains just as enthusiastic to this day. Melord’s commitment to working at the radio station was clear from the beginning. When it didn’t seem that he was going to be able to adjust his schedule in order to work at the station and earn credit, Melord proactively worked with administrators to find a way to make it happen. Now, going to the station at 2:45 in the afternoon is something Melord looks forward to every day. It’s the fun part of the day he says. At the radio station, Melord edits radio programs, working with the sound and the music. He cuts up shows and puts them together. “Through the editing process you can make it your own, with your own style,” Melord explains. Working at the radio station fits easily into the rest of his traditional school day and work. Melord says the hands-on experience forces him to learn faster and take initiative. He makes mistakes, but he learns from them quickly. 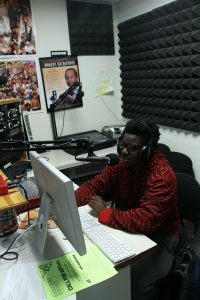 He credits the radio station with opening his eyes to what options he has after high school.